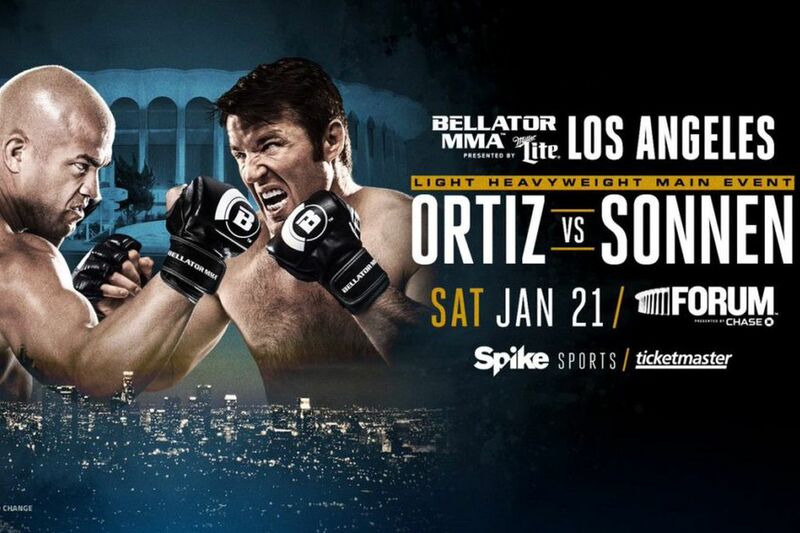 Bellator 170: “Ortiz vs. Sonnen” comes to The Forum in Inglewood, Calif., this weekend (Sat., Jan. 21, 2017), featuring a stacked card with a historic main event between “Bad Boy” Tito Ortiz, which will mark the final fight of his mixed martial arts (MMA) career, against “The Bad Guy” Chael Sonnen. To promote the Spike TV-televised event, the promotion will today hold a media press conference at the new VIACOM headquarters in Hollywood. Even though it is not open to the public, MMAmania.com has your exclusive all access pass. Indeed, watch the entire Bellator 170 press conference — starting at 3 p.m ET — streaming in the video player above and continue down below for a recap of the press conference, including and any notable words (or deeds) from those in attendance. Senior Vice President of Spike Sports Jon Slusser will be speaking along with main card fighters Tito Ortiz, Chael Sonnen, Brennan Ward, Paul Daley, Ralek Gracie and Hisaki Kato.